The Leadership Team serves in the biblical role of elders. The purpose of the Leadership Team is to work with the senior pastor to establish the strategic direction of the church and to provide accountability so that the ongoing ministries of the church are properly established and performed. The pastor is a voting member of the Leadership Team. Leadership Team members are nominated by the church membership based on the character qualities of elders as described in 1 Timothy chapter 3 and Titus chapter 1. Candidates undergo a thorough interview process and are accepted if they receive the unanimous consent of the existing Leadership Team. There is no term limit. Kevin joined HVCC in late 1998 prior to the grand opening. He joined the Leadership Team in 2002 as one of two inaugural members; the other was Al Bauman. Kevin and his wife Michelle live in Mt. Horeb with their cat Sam-Wise and their daughter Audrey when she's home from college. Their two sons live in Minneapolis. Favorite drink: Dark roast coffee, strong and black. First job: Reporter/photographer for the Darlington Republican-Journal. What did you want to be when you grew up: A writer. I didn't want to do the necessary work - I just thought it would be cool to "be a writer." Favorite food: Too many choices! Favorite pastime: Active sports; family time. Dream car: A motorcycle. So many choices, but a BMW R1200RT would be near the top. Phil and his wife Cindy began attending HVCC in August of 2011 and joined the leadership team in January of 2015. They live in Dodgeville with their dog Jack. They have two grown children and four grand children. First job: I came to Dodgeville right out of UW-Madison to be the choral director at both the high school and middle school. What did you want to be when you grew up: Everyone in my family, including me, thought I would be a lawyer. Greatest indulgence: Culver's pumpkin shakes. Favorite season of the year: Unquestionably, fall. 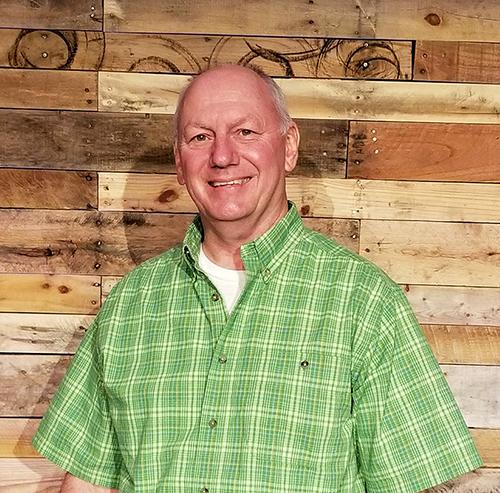 Brian Blanchette has been a part of Hidden Valley since 2006 and joined the leadership team in 2010. He and his wife Corinne live in Dodgeville and have 5 grown children. First job: Parking cars before I had a driver's license. What did you want to be when you grew up: A Paleontologist. Perfect day: Spending time with my family outside on a lake. Gary & his wife DeAnna have been attending Hidden Valley since 2007 and joined the Leadership Team in 2018. He has been blessed with 5 children and 10 grandchildren. First job: Cheese factory worker. What did you want to be when you grew up: A good husband to a fabulous woman, and a great father. Dream Car: All Classic Cars - especially those from the 60's & 70's. Perfect Day: My wife and I cruising the winding back roads on our motorcycles on a sunny day during fall peak colors in autumn. Who inspires me: Anyone who stands with courage to make a difference for what they believe is right.